New Versus Used RVs: Should You Buy New Or Used Motorhomes? You are here: Home / Columns / New2RVing / Should You Buy A New Or Used RV? Should You Buy A New Or Used RV? When approaching the idea of buying an RV to live in full time, thousands of questions can come to mind. Which class best suits my needs? How long should the trailer be? Wait, do I want a trailer or a motorhome? How much money am I working with? Like any other large financial purchase, the question always arises—do I buy new or used? Debating on new versus used alone can create an entire spin off of uncertainty. Each answered question leads to another unanswered, stacking up into a giant before you. It can be dizzying and often leave you frozen in fear. How can you possibly attack this process without overwhelming yourself? Take a breath, you’ve got this! Let’s enjoy the process instead of being afraid of it. RVing is supposed to be fun; that is part of the reason why you decided to buy an RV in the first place, and that is where we need to start. Why are you buying an RV? For someone who is about to take the plunge into full time RVing, these questions are more than just ponderings. The answers to these questions will determine your lifestyle for the foreseeable future. There are plenty of reasons both in favor and against purchasing either new or used. Approach those reasons systematically. What are you making this change for? Several reasons could include adventure, travel, downsizing, or cutting costs. Each of those reasons can pull you in a different direction. If you’re looking for explorations and wild journeys full time, you need a rig that can support you along the way. Is it strong enough to sustain constant moving? Does it have the storage you are looking for to pack up and move on a whim? Is it maneuverable to access the places you want to reach? When a full timer wants to continually voyage, there are concerns raised by used recreational vehicles that might not be an issue if you were permanently stationary. 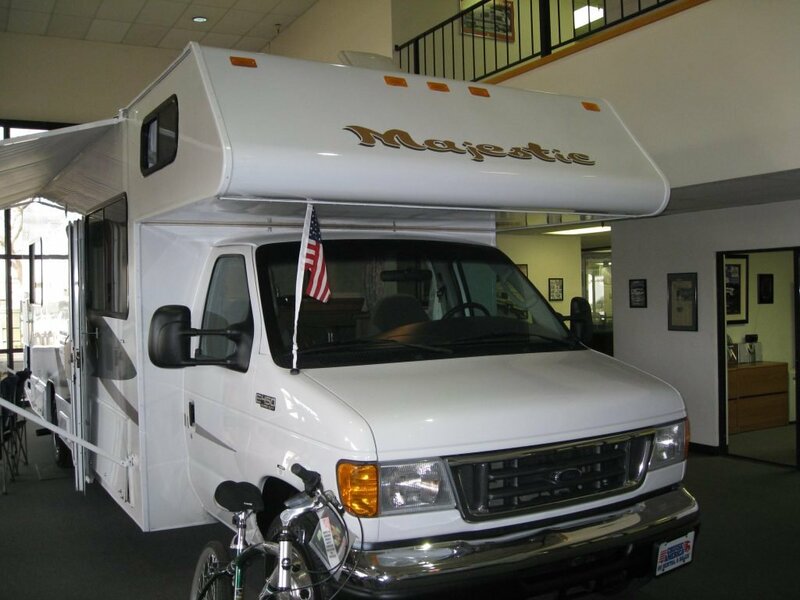 Instead of trekking across country, you might be buying an RV to downsize your lifestyle. Living in an RV can be a very cost effective alternative to a bricks and mortar house. There are plenty of floor plans available specifically designed for full time or extended stay living. Some of the considerations you make for constant travel aren’t an issue when stationary. Maybe now, a full size bathroom is your priority, or a washer and dryer hookup so you can do laundry in the comfort of your own home. Other than retirees, a growing number of people are making the transition to full time RV living to live frugal, intentional lives. They want to cut costs on housing expenses or aggressively pay off debt. If this is the case, buying a brand new RV might not seem like the logical choice for financial reasons. Ultimately, to conquer the struggle of deciding between new and used, you need to ask yourself a series of questions. Start with—why am I doing this? Once you fully understand your own reasoning, you can start taking the steps to make this fun dream of yours come true. Your priorities will be your road map along the way. For me buying good used is always a better bet. For one reason when you drive off the sales lot the value of a brand new RV will drop some 25% or more depending on model etc. Buying a 2-3 yrs old unit will save money and you have something that most of the bugs have been worked and some upgrades may have been started or done. If you look on a local craigslist or other national sales sites you can find something to fit your need and wants. When you find this diamond in the rough, which can seem like the hard part, now the hard part starts. You need to make a trip to see unit in person and make sure what you saw was what you are getting. It helps to be mechanically inclined or have a friend that know a thing or three about cars and such. I would also search a local service center, if the rig is not in your area, to take rig to for a good check out. Try to find out if the PO use a local service center and call them to ask past service history if paperwork is not available. On a unit with motor I check the oil level on stick, unscrew the oil fill and look inside with good light, pull trans stick to check color and smell of Trans fluid, check under rig for leaks, drips and overall condition especially looking for rust in older units. Try to see the unit cold, as in the engine was has not been started thus far that day. After giving a good look around, under and between every where i can see, I start the engine and check exhaust for smoke, smooth idle and over all good sounding engine. Take the unit for a good drive on road with low MPH speeds and on high speed roads to hear, see and feel the unit in action. I like to run the unit a bit hard getting engine to temp and then pull over to pop hood and look again with a light to listen to sounds etc. Hopefully if your mech friend is with you the verdict may be easier to figure out good or not good unit for you to entertain purchasing. Buying a rig is a exciting time but the best times are the ones you live in your rig going out to see the countryside with loved ones no matter if you are full or part time. You can usually negotiate that 25% lot loss away if you are willing to haggle on a new rig or even make money if you deal hard on a new “ year or two old” model. Warranty is a nice thing to have. About 3 years ago, we purchased a brand new Outback 34′ RV and lived in it for a little over a year, while we were both still working. We did this as a test / experiment to see what it might be like. After living in it for a year and experiencing the failure of both our refrigerators, the fireplace twice, and a small issue with one of our two slide outs and then attempting to get those things fixed while living in it, we decided this was not in the cards for our future. We saw a number of folks appear in the park we lived on Lake Conroe only to take their brand new RV back for warranty repairs before taking off on their first long trip. This of course can happen to any brand. And can also happen whether you want to go full time or just do it part time and come back home to a more permanent base camp. But it did give us pause. So we sold that RV and yes we took a loss of about $6k considering that loss as a lesson well learned before we both retired. We then bought our retirement home / base camp. After about 9 months in the new home we purchased a much smaller and simpler RV. A Solair 24′ with a real residential refrigerator and no slides. And with solar plug ins for future use as we take off to explore new worlds on 3 month or so excursions. We have learned a great deal these past 3 years and are still learning today. As we sit in a National Forest campsite in E. Texas with our Grandson on spring break. And with my sweetheart still working remotely. Through all of that we would have been open to buying used, and looked at several. Unfortunately none felt right and none met our learned specifications. I will NEVER buy another new RV. We bought a new 30 ft 2014.5 Wildcat in October 2013. We were promised delivery the first part of December. It was almost February before we finally got the call that is was in. During the waiting period we made I don’t know how many calls to the dealer to get an estimate on delivery date. Of course our salesman and the sales manager were unable to take our call so we left call back messages and voice mails every time. Did we ever get a call back? A few, maybe 7 or 8. Each callback we were told that they would contact the manufacturer and get back to us. Did they ever get back to us? Never. When we finally got the Fifth Wheel we noted several things wrong during the walkthrough. Not one of those were ever fixed. The first trip out in the spring. That was when I discovered that the water lines to the bathroom sink were not connected to the bathroom sink I also discovered that I could install one of my X-Chocks on one side but there was not enough room between the tires to install the X-Chock on the other side! Obviously the axles were out of alignment. I called the dealer when we got back and made an appointment to bring the FW in. I took it in and was instructed that all I could do is drop it off. My landing gears also stopped working. That was added to the workorder. That was in the early spring. By the end of June the dealer still had only pulled it in and discovered that there was over a half inch difference between the axles on the right side and the left side. The pulled the FW back out and parked it in the back lot and forgot about it. I called at least once a week and got the run around. Finally toward the end of July I told them I was coming in that Saturday to pick up my FW. My patience had run out. I had taken it on one disasterous trip in the spring and now my warranty only had a few months left on it. When I got there on Saturday my FW was still buried in the backlot. I waited for an hour and a half while they moved RVs around so they could get to my FW. When I finally went in to get the keys they handed me a bill for $35 for a replacement fuse for the landing gear. Needless to say I went totally ballistic. They finally gave me my keys and voided the bill. Never EVER again will I buy a new RV. Buy one 2 or 3 years old. save your money and hopefully all of the major issues will be taken care of. I look at those who buy new, as doing the rest of us, a great service. I and others like me, would be at a loss without you, so do thank you, very much. If you start off cheap in the rv industry, you will get cheap. Thank you for all of us new purchasers for finding the cheap piece of crap for us and to avoid it. SOUNDS LIKE THE DEALER YOU USED SHOULD BE REPORTED THE CONSUMER FRAUD!!! I New or used? We purchased a used 24 ft Thor with a Mercedes Diesel engine from Lichtsinn RV in Forrest City, Iowa last Oct.
the sales lady was all roses until after we made the down payment. Which by the way is nonrefundable, a little hidden item we missed……our first mistake. She proudly said that all units on their lot were “ CERTIFIED “. .
Then the run around and lies started in emails .. I had about 28 questions by he time I drove home to get a bank check, 3 1/2 hrs. They will not take a personnel ck for down payment of final payment. The sales gal answered them in her sweet time.. long story short and 2momths later. I got most of the issues resolved. She did not inform us of an existing warranty on the engine and drive train. Glad it was there as it covered near $5,000 in repairs to the DEF components. Lies and pretty smile put offs was her mode…….sad deal. An experience 10 times worse than any car delearship I have ever dealt with and I have owned over 60 cars in my life. I deduced that the dealership advocates doing what ever needed, lies or not, to get you off their lot so they can push you around with emails. New or used? A question that can be best answered with, “ Buyer always beware”. They are vehicle sales people with out morals, values, accountability, responsibility, honorable ethics or honesty..
My thoughts. Good luck is my hope for you all. Sad but true and in so many cases, if their lips are moving, they’re lying. In Galveston county an ex worker at an RV dealer stated to us that he was told he would not be hired if he did not lie. Finally the negativity got to him and he now works for a more reputable dealer. 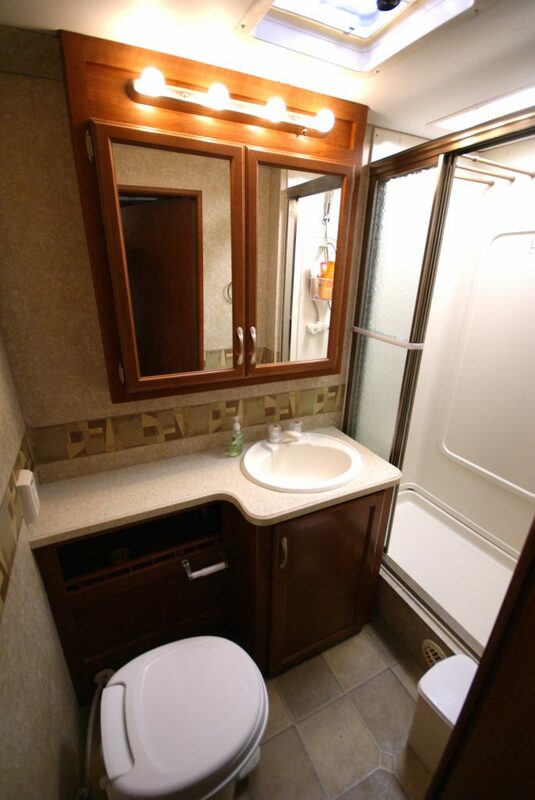 Check out RV Pricing and Values on FB. Get a pro to provide an appraisal if you’re buying or selling. Disillusioned sellers of newer vehicles don’t realize the true depreciation as their loan balance far exceeds actual value. Don’t buy someone else’s upside down debt. I think I will go after the used RV. As far as the cost is concerned, buying a used one could save you a lot but still getting the same performance of a brand new RV. You just need to look for the right unit. Thanks for this good reading material. I bought new in 2006 at an RV show. When the manufacturer finally delivered 3 months later (pretty much on time) the issues started appearing. It was not long before I realized whether you buy new or used, buy from a mega-dealer with a nationwide presence and pride in name recognition. They will generally take care of issues by getting you into a repair bay. Having said that, they can only do so much. I will never buy new again!!! I cannot even begin to tell you the issues I had to deal with. It was a nightmare of quality issues from minor to major. I drove to multiple manufacturer operated repair facilities and was not able to take my first pleasure trip for about 18 months. Here it is 12 years later.and I am still finding quality issues. My advice is buy a used upper end known quality model (which I just did) and spend some of the money you saved on an excellent extended warranty plan (@$10,000 for 4 years) that lets you get service anywhere. Dee, maybe look at a TaB 400 by NuCamp. We love ours; well built, beautiful finishes inside, handmade by Amish. With the Edge it will have to be very small. Maby a Teardrop? I am debating on trading my RV. It is a 1999 Country Coach, 40 Ft, Diesel pusher in great shape, 66 K miles. The inside is a 9 out of 10 in looks, never smoked I or pets kept inside. The outside is 8 out of 10 with a few scrapes or paint. The quality of the construction is top notch, real wood. keep it if it is not too big. quality is there. repairs equal to finance and depreciation costs. any type of vehicles (from a mono-cycle to bicycle to motor-bikes to cars to RVs to airplanes to rockets etc!) … or computers (and any kind of ‘sensitive’ electronics) … as well as houses! and all that means not only money lost on costs that could well be avoided if gotten a new toy, but also precious never-to-return LIFETIME WASTED while waiting for the repairs just as well! and in case of RVs, remember: you’re going to have more fun than unfun, right?